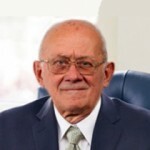 Professor Sándor Kaliszky, a full member of the Hungarian Academy of Sciences, the legendary master of civil engineering, an outstanding scientist passed away after a long illness on April 10, 2016. Sándor Kaliszky was born in a small town Diósgyőr in Hungary on June 15, 1927. He was only 5 years old when his father died. In 1937 the family moved to Budapest where he attended secondary school at the Budapest Piarist Gymnasium. After an excellent certificate in 1946 he began his studies at the Faculty of Civil Engineering of the Budapest University of Technology. He received his diploma as structural engineer in 1950. In the same year he became a lecturer at the Department of Mechanics where he worked until his death. There he became an assistant in 1950, assistant professor in 1955, associate professor in 1963 and full professor in 1969. Between 1971 and 1992 he was the head of department, a post he held for 22 years. During his long career as head of department he established a scientific school in which numerous internationally recognized scientific results have been achieved, he supported the early career of many scientists. His own results are also outstanding in fields, such as the stability analysis of nonlinear structures; plastic design of reinforced concrete plates; optimal design and shakedown analysis of structures; analysis of the interaction between soil and structure; analysis of large panel structures; analysis of elastic-plastic structures under multi parametric, dynamic or extreme loads; shake down analysis and elastoplastic topology optimization of structures; optimum design of nonlinearly elastic discrete systems. Professor Kaliszky worked as principal investigator of many Hungarian and international research projects. As the vice dean of the Faculty of Civil Engineering, he managed and directed many educational reforms and innovations in the faculty curricula. In 1964 he won a scholarship to Southampton. This scholarship and his professional cooperation with three famous Polish scientists, Olszak, Nowiczki and Sawczuk, fundamentally determined his further professional career. In 1967 he defended his theses and received the DSc degree, Doctor of the Hungarian Academy of Sciences. He delivered lectures on plastic limit analysis of reinforced concrete structures at the Monash University in Australia in 1972. Later he was invited as visiting professor for years at the University of Wisconsin-Milwaukee in the United States in 1980 and 1984, where he gave lectures on many subjects, such as Strength of Materials, Plasticity or Continuum Mechanics. It was his merit that a cooperation agreement had been concluded between the University of Milwaukee and the Budapest University of Technology, the result of which was a long and very useful teaching and research cooperation realized between the teachers of both institutions. In 1985, he became the resident rector of the International Centre for Mechanical Sciences, the CISM, in Udine, and for 16 years he worked there as the rector of scientific and international relations. As a result of his activity there, a mutual agreement was signed between the CISM and the Hungarian Academy of Sciences in 1987. 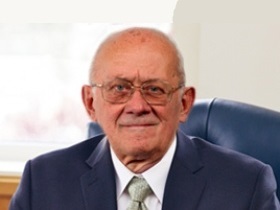 Professor Kaliszky was active in international scientific relations. He was elected chairman of the Hungarian National Committee of IUTAM, member of the Hungarian National Committee of IABSE and ICSU. He worked in the editorial committee of Structural Optimization and Journal of Mechanics of Structures and Machines, but he worked for the Advances in Mechanics and Applied Mechanics Reviews, as well. Professor Kaliszky was elected corresponding member of the Hungarian Academy of Sciences in 1990, and he became a full member in 1995. He received several awards: Award of the Hungarian Academy of Sciences in 1966; Copernicus Award from the Polish Academy of Sciences in 1984; Medallion of the Budapest University of Technology in 1993; Gold Medal of the Krakow University of Technology in 1995, Medallion of the Liège University in 1995; Albert Szent-Györgyi Award in 1997; Arnold Ipolyi Award in 1997 and Széchenyi Award in 1998. Professor Kaliszky was surrounded by a loving family, organized by his wife, Klara. He was very proud of his medical doctor son, Peter, and his civil engineer son, András, also his eight grandchildren. He lived in a happy family. After a fruitful and long professional life, Professor Kaliszky retired in 1997. As a professor emeritus of the university, he continued his active work at the department and the Academy, as well as at the CISM in Udine. However, the death of his beloved wife and an unexpected stroke had broken his health and active life. In the last years of his life, he could hardly leave his home. The Hungarian engineering society profoundly mourn him.